The 3M Aqua-Pure AP110-2 water filter is for use with many 3M Aqua-Pure whole house water filtration systems that use 19-1/2-inch by 2-1/2-inch water filters. The 3M Aqua-Pure AP110-2 filter can also be replaced by two Aqua-Pure AP110 water filters with the use of a coupler. The 3M Aqua-Pure AP110-2 Whole House Filter Replacement Cartridge fits 3M Aqua-Pure whole house water filter systems. 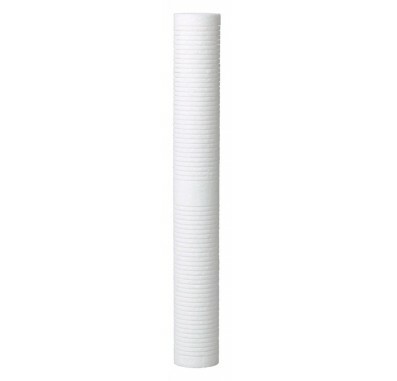 The filter uses Bonded Cellulose to remove contaminants for up to 6 months.